First AG Doll Play Giveaway! We finished our first little video review! I think Zoey did a great job and it was pretty fun. To see the whole blog post featuring the doll's new bathroom click here. As many of you know, Zoey and I have quickly become in love with dolls as of late...and have been crafting for the dolls, planning little parties and gatherings for the dolls and have become very efficient at finding fun doll links on the web and doll play ideas, etc. I've been posting some of our finds and crafts and things here on my personal blog but have recently decided that I would like to have something separate that's just for dolls and that is something that Zoey and I can work on together, if she so desires. 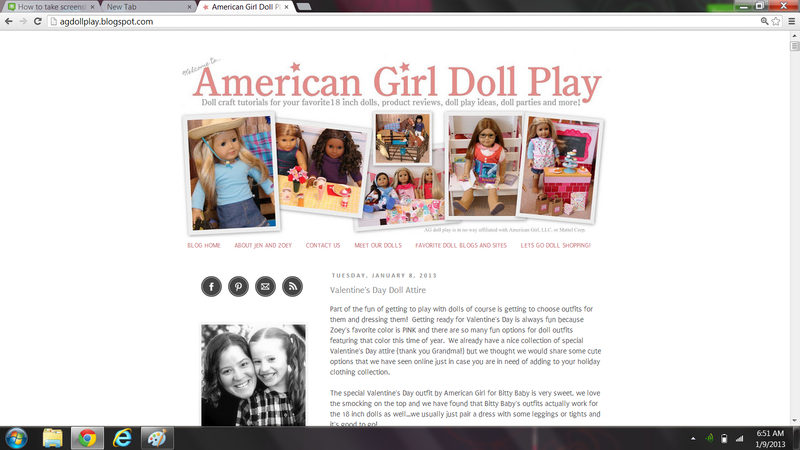 With that said, please join us at our new doll blog, AG Doll Play. This will still remain my personal blog with crafting projects and family updates, etc. but for those that are more into dolls...please bookmark the doll site as that is where all of our doll updates will be. In addition to the doll blog, I also set up a Facebook Fan page for the AG Doll Play site and that can be found here. Please "like" our page if you want to get updates and links to blog posts as they happen!